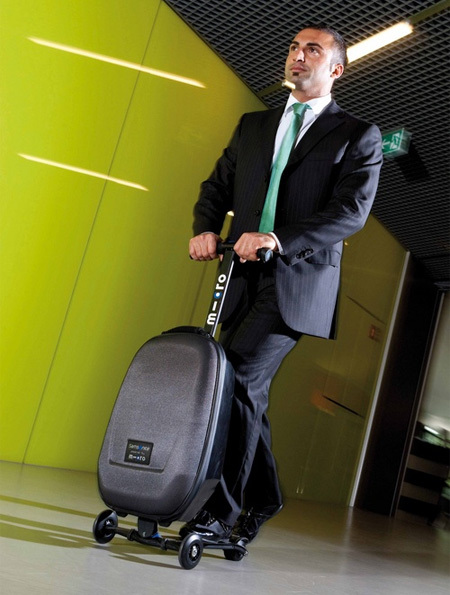 Innovative luggage transforms into a kick scooter with adjustable handlebar. 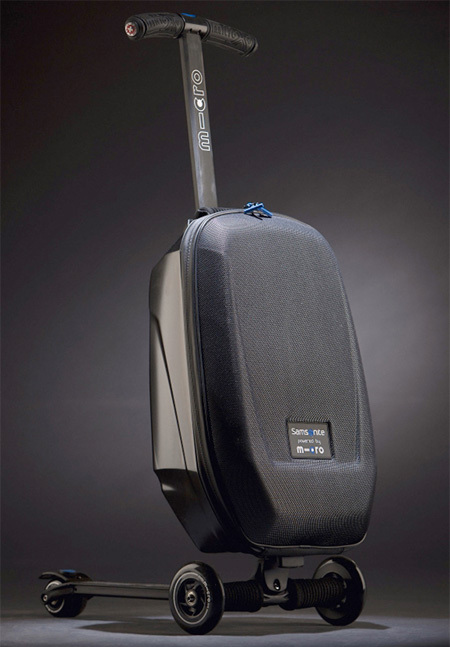 Micro Luggage Scooter will get you to the gate on time. 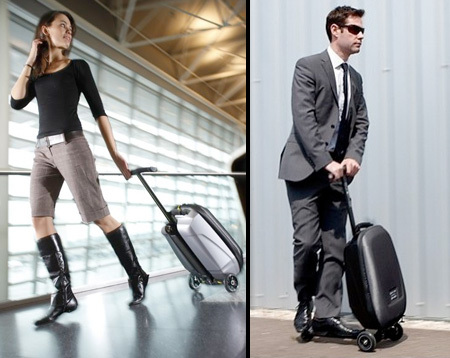 Be prepared to feel like a rock star as you ride your suitcase through the airport. This is wonderful…but I can’t see it working in high heals however. Now there’s an easier way to look like a jackass at the airport! This would definately add a couple of kilos to the luggage- not worth it. The latest way to trip over your stuff. New! From Bondai! Those sure are weird boots on that one model. Either they airbrushed out her high heels or she’s walking on tiptoe. It’s not an efficient design for the true purpose of a carry on. 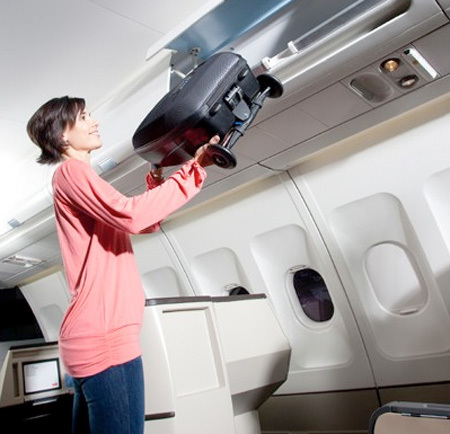 A carry on should be thoughtfully designed to maximize the overhead space. You don’t want to flip out your seat mates who also want to put their stuff in the overhead compartment. The wheels need to be recessed. Would be better for commuting. It looks waaay too small to be practical as luggage, but it would make a great backpack. I want one, but a little bit bigger.. I like to have such a clever luggage. I need a new luggage and this is it. What if a heavier person tried this? Wouldn’t it break or be too small for the feet area? i don’t think that would work in a busy airport!! I waited for this!!!! Love IT! no different if you were riding skate board or anything with wheels for that matter. security will be sure to stop you and make you put away the wheels. hell they dont even allow kids using heelys. My husband wants one! That’s a good thing…..
simply AWESOME – brilliant invention, somebody’s going to rake it in big time with that one.